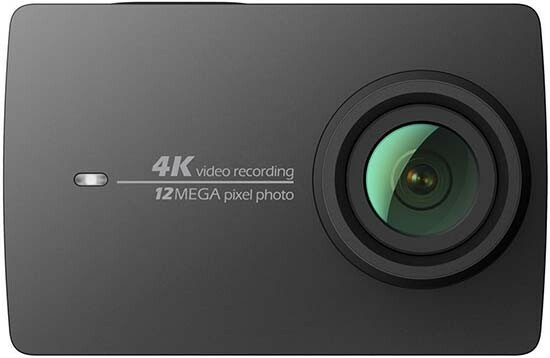 Considering the YI 4K Action Camera occupies the cheaper end of the market than something like the Go Pro, image quality is actually excellent. You can shoot 4K at up to 30fps, and you’re left with smooth and fluid video. If you’re prepared to shoot at 1080p, you can increase the frame rate to 120fps, and if you’re prepared to go even further and shoot at 720p, you can even have 240fps for slow motion shooting. It’s not quite on a par with the GoPro Hero 4’s results, but the difference is only hugely noticeable when comparing videos side by side - in isolation, it’s unlikely you’d really be able to tell too much. For the average holidaying photographer who likes the idea of an action camera, you should be pleased with what it can do. Although it’s not particularly marketed as a stills camera, it is of course capable of taking them. Again, the quality is surprisingly good. You may not want to use it as your main camera, but in good light, you can get some nice shots which display a good depth of colour, and are well exposed. You may want to use the wide-angle to your advantage for grabbing the odd landscape shot and so on. In low light, the camera doesn’t fare particularly well, but it’s not awful, so you could even break it out for that usage if you really wanted to.